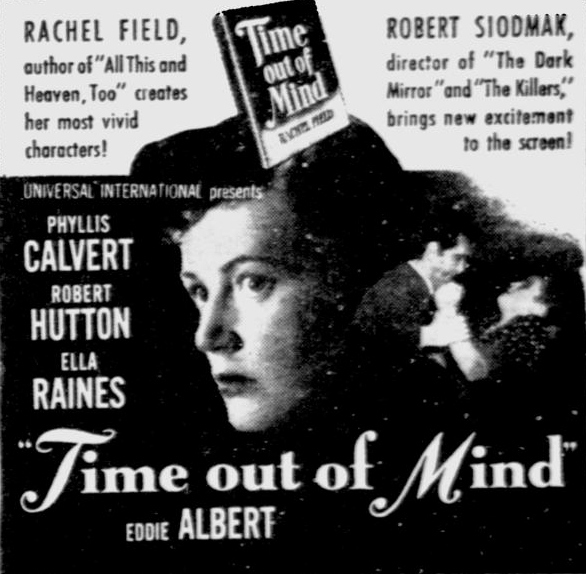 In 1947, Ella Raines appeared third-billed in the notorious flop Time Out of Mind. Expectations ran high for the film almost exclusively because of the reputation of the director Robert Siodmak. For several years, Siodmak had been on a cinematic winning streak and had found favour with critics and the general public. 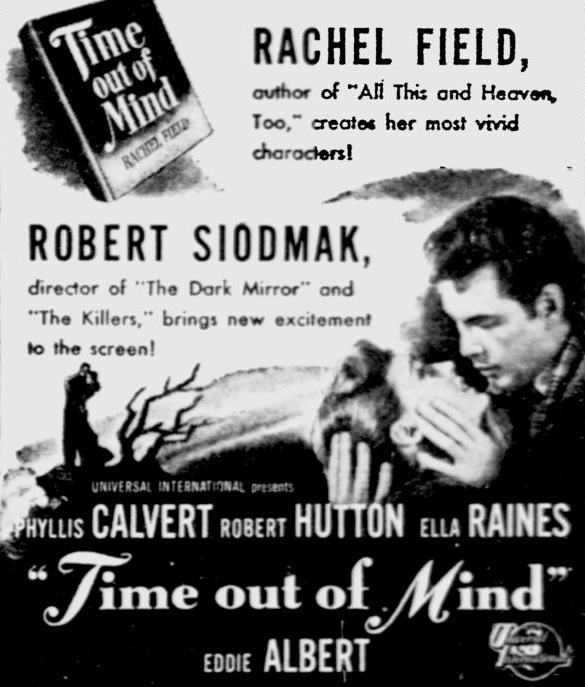 Universal Pictures had been trying to adapt the Rachel Field novel on which the film is based for at least a decade and eventually Robert Siodmak was ordered to direct Time Out of Mind against his wishes. The movie turned out to not be that great and with Siodmak's name attached, it seemed that much worse. One of the biggest redeeming elements to this mediocre film is the presence of Ella Raines. Though she has little to work with, she makes the most of the situation. This really was Ella Raines' first opportunity to play a role that different than the parts she had been offered up until that point in her career. Seeing her in this makes one think that she may have done well in other period pieces (she did quite well in another historically-set film, The Suspect).